Bitcoin prices slumped under $6,000 per coin on a day when futures contracts expired at CME Group Inc. (NYSE: CME). 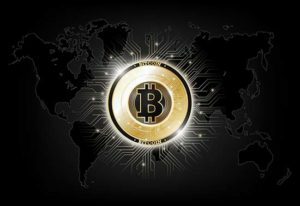 But despite the recent downturn, many cryptocurrency bulls expect that institutional investors will pour into the market. The price of Bitcoin has been struggling, and it could soon fall all the way down to $5,000 or lower. But at that point, it would be a screaming "Buy," according to Mohamed El-Erian, chief economic advisor at Allianz SE. During an interview with CNBC's Squawk Box, El-Erian said that there was a lot of value to be found if this selloff continues. More than 1,000 cryptocurrencies are "dead projects," according to data collected by Coinopsy and Dead Coins. The two digital-currency trackers said that these projects lack any development or future activity in their protocol. The story gets even more compelling because some of these projects that successfully raised capital were obviously never going to get off the ground. Such "dead coins" include Snowballs, OreoCoin, and CryptoMeth. Did Coinbase sort out the hacking of their site and has the use of one crypto to influence the market price of Bitcoin get the attention needed. Does the hack of a depository effect any wallets. I was warned about leaving real money in the crypto depository by the site. Did they know something and failed to address a security problem?